While Canadian fans are upset that Georges St-Pierre won’t return to the Octagon at UFC 206 at Air Canada Centre in Toronto, Ontario, Canada, on Dec. 10, 2016, perhaps they can find solace with and exciting Featherweight match up announced earlier today. 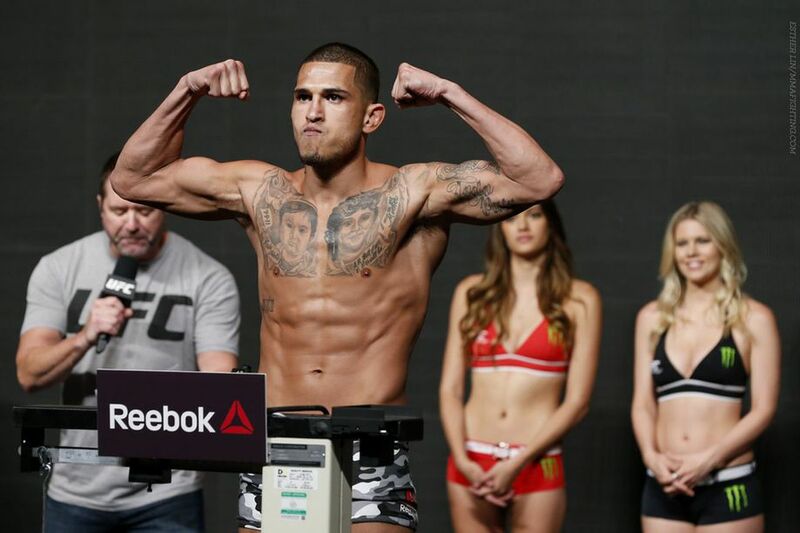 Former Ultimate Fighting Championship (UFC) Lightweight champion, Anthony Pettis, will continue his journey at 145 pounds when he takes on the red-hot Max Holloway at the upcoming pay-per-view (PPV) event, according to UFC. Both men were lobbying for a chance to fight Jose Aldo at UFC 205, but since “Junior” is currently at odds with the promotion, the logical step was two pit the two stand up specialist opposite each other. Pettis is fresh of third round submission victory over Charles Oliveira at UFC on FOX 21, which marked his successful debut at Featherweight (see it). The victory also stopped the bleeding of a brutal three-fight skid at 155 pounds. As for Holloway, he is currently riding a ridiculous nine-fight win streak that dates back all the way to early 2014. In any other division, that would easily warrant a title shot. But since Conor McGregor has held the belt and division hostage since winning the strap by knocking out Aldo at UFC 194, “Blessed” has been left out in the cold. He’ll look to warm back up when he faces “Showtime” in a bout that could very well produce the next title contender in the division. As it stands, UFC 206 will feature a Light Heavyweight title fight as Daniel Cormier meets Anthony Johnson for a second time in the headlining bout. And since Dana White, as well as “GSP,” have already ruled out this fight for the event, don’t be surprised to see Pettis vs. Holloway co-headline the show.